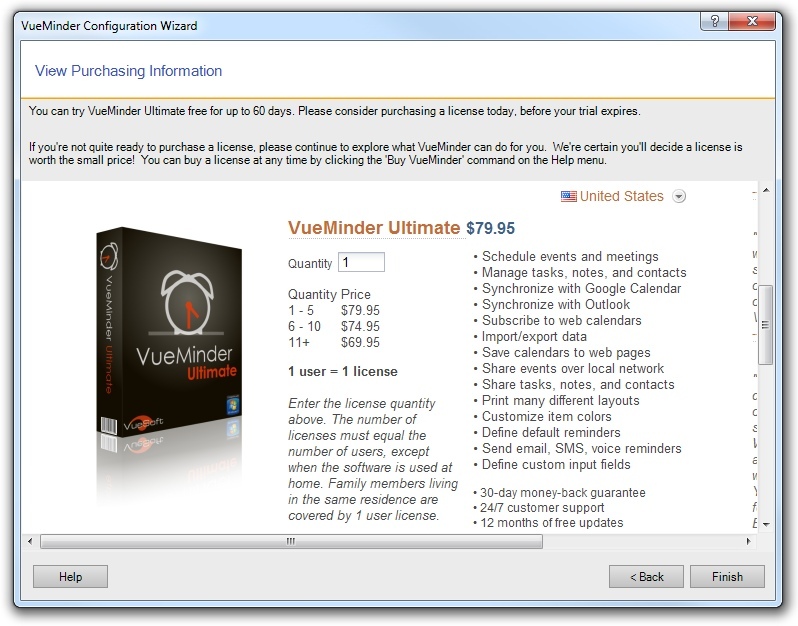 You can try VueMinder free for up to 60 days. If you'd rather just buy a license now and not worry about buying one later, you can do this in the final step of the Configuration Wizard. A secure order form is displayed where you can enter your payment details. After submitting your payment, your license will be sent via email within a few minutes. If you'd prefer to do this later, simply click the Finish button. VueMinder will be fully functional for 60-days, giving you plenty of time to decide if it meets your needs. If you later choose to purchase a license, you do so by clicking the link in the Register VueMinder window, which is accessed from the Help menu. 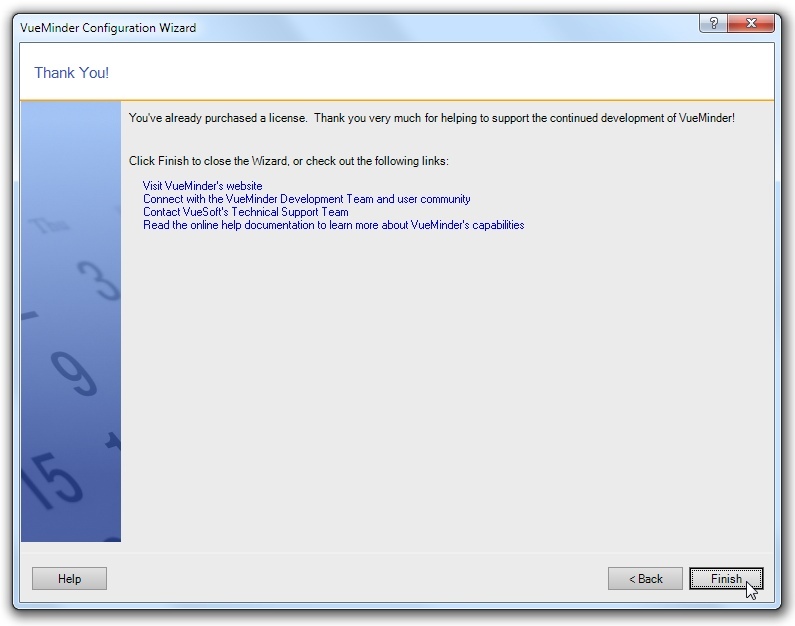 If you run the wizard after purchasing a license, the window changes as shown below. Links are provided to access the VueMinder website, user forums, technical support, and documentation. When you're done, click the Finish button. You can always run the Configuration Wizard again from the File menu.